Former WWE superstar CM Punk has been heavily criticized for his special treatment by the UFC. Ever since he’s made the switch to MMA, Punk made his MMA debut in the UFC on the main card of a pay-per-view. Even though he lost that fight, the 0-1 welterweight will once again be heavily promoted and featured on the main card of UFC 225. Meanwhile, other more-deserving fighters are fighting on the prelims and barely receive a fraction of Punk’s publicity. Punk, who’s real name is Phil Brooks, lost that UFC debut in a completely uncompetitive fight against Mickey Gall, who effortlessly took down and submitted Punk halfway through the first round. That was back at UFC 203 in 2016, and Punk hasn’t fought since. Now, nearly two years later, Punk is being offered another fight in the UFC, this time against Mike Jackson. Punk himself said he has no business taking a main card spot from the likes of more established UFC fighters such as Alistair Overeem and Holly Holm, but that hasn’t stopped the criticism. However, at least this time around he will be facing a fighter of equal caliber. Jackson too lost his only UFC fight to Gall, but “The Truth” only lasted 45 seconds before he was dropped and submitted. 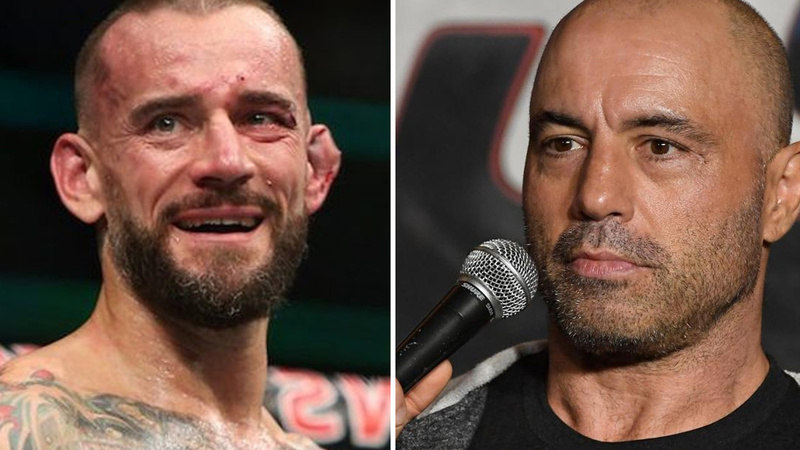 Do you agree with Rogan’s assessment of Punk’s MMA career?